Microsoft finally launched the most awaited software release of the year, Windows 7. Microsoft Windows 7 is the successor of Windows Vista, which was launched in 2007. Although Windows Vista had good appealing graphics and some new features, it received a lot of criticism and negative reviews from public. At that time people were using Windows XP and most of them had a low system configuration. So the huge system requirement of the Vista was something that prevented them from a quick upgrade to the new version. Furthermore, there were some un-tuned software issues in Vista that troubled many users. Microsoft had managed to patch all those issues in Windows 7, and the recent studies show that the upgrade worth for the investment. Microsoft sold around 240 million copies of Windows 7 in the first year itself. So that makes a rough figure of people bought Genuine Windows after getting interested in the new offerings. As you can see from the screenshot, Windows 7 has a smooth, vibrant interface with a new taskbar. 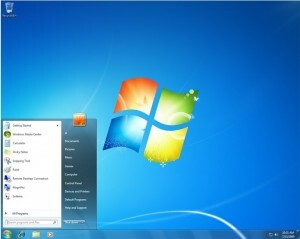 Windows 7 is faster than Windows Vista in boot, accessing applications and multi-tasking. Windows 7 has better compatibility with old software. That is you can run software designed for Windows XP in Windows 7 easily using the XP mode. 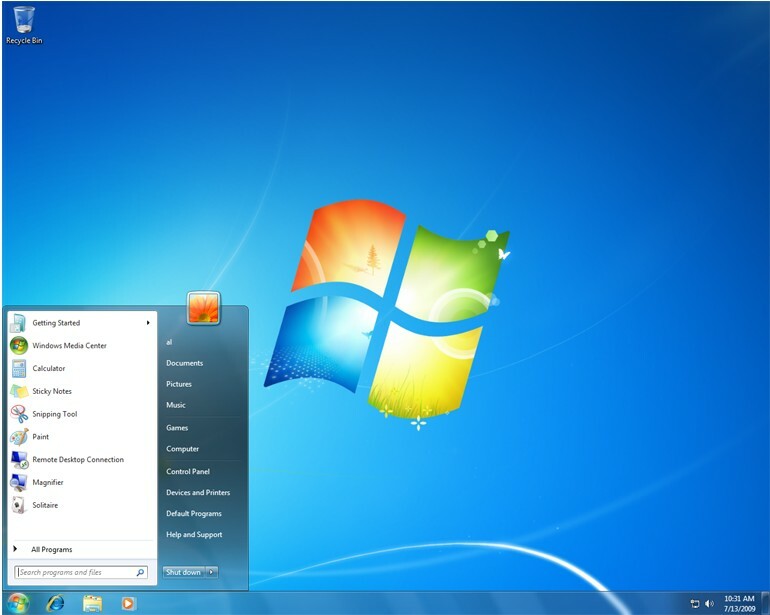 Windows 7 is the first Windows version that supports multi-touch screens and tablets. There are 6 different Windows 7 editions. However, most of the online stores only allow customers to buy Windows 7 Ultimate, Professional or Windows 7 Home Premium. Other versions are for OEM partners and businesses. Windows 7 ultimate is the most comprehensive solution. It includes features of all Windows 7 editions. The only missing feature in Windows 7 Professional is BitLocker app that let you encrypt data on your hard disks. Whereas Windows 7 Home premium doesn’t support Windows XP Mode, Domain Join, Automatic backup and BitLocker. Windows 7 is available in 32-bit and 64-bit processor options, both in same DVD. You check your processor’s 64-bit compatibility here. Microsoft has released a software tool called Windows 7 Upgrade Advisor that can be use to check if your computer is Windows 7 ready. It’s available for download here. If you are already own a Windows Vista license, you can buy upgrade to the latest version at a nominal price. Amazon web store offers Windows7 at a lower price than the official Microsoft store. 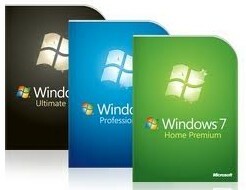 You can buy Windows 7 upgrade or full version directly from the following links. Why you need to buy a genuine Windows 7 DVD? The pirated version of Windows 7 spreading in the internet are contaminated with viruses and trojans, that might steal your personal data. You won’t get access to future Windows Service pack releases ( Windows 7 SP1 is currently under beta), security updates, free software (MSE, IE9) for genuine users and other periodic offers from Microsoft. Moreover, it’s illegal to download and use Windows 7 from unauthorized internet websites.